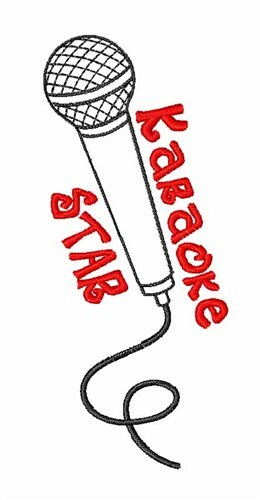 Karaoke enthusiasts rejoice! Pick your favorite song and belt it out! This design is perfect on gifts, home decor, and much more. Satin Stitch is happy to present Karaoke Star machine embroidery design which has 3559 stitches and is [38.13 mm x 89.21 mm] large. If you would like to view more embroidery patterns please search on our embroidery designs page.